What Are The Health Benefits Of A Mediterranean Diet? A Mediterranean diet emphasizes an intake of fruits, vegetables, whole grains, legumes, olive oil, fish, and other healthy foods. According to US News, the Mediterranean diet was rated as the third best overall diet to follow. A Mediterranean diet emphasizes an intake of fruits, vegetables, whole grains, legumes, olive oil, fish, and other healthy foods. There is no structured Mediterranean diet regimen to be followed, but more so an understanding. Some studies have linked the Mediterranean lifestyle to diabetes prevention, lowered risks for cardiovascular conditions, and as being healthy for the brain. The Mediterranean-style diet has also been linked to enhanced heart health. Individuals, who followed such a lifestyle, were associated with a decreased risk for heart disease. Also, they were shown to have reduced blood pressure and low-density lipoprotein “bad” cholesterol levels. The Mediterranean diet plan rarely include any saturated fat that contribute to high cholesterol, but includes mono- or polyunsaturated fats. Other studies have found that the cells that line the interior of the entire vascular system of the human body - from the large arteries to the smallest capillaries - are enhanced by a Mediterranean diet, which can reduce the risk of developing cardiovascular disease. Researchers believe the long-term health benefits found in such a short involvement could be due to molecular changes associated with the Mediterranean diet. The study focused on healthy people over the age of 50 years. Participants were assessed over an eight-week period. Individuals, who would like to prevent type 2 diabetes or control their diabetes, can benefit from the Mediterranean diet. Studies have shown that individuals who followed the Mediterranean diet have a lower risk of developing type 2 diabetes by almost 12%. Studies published in Neurology have concluded that a Mediterranean-style diet may also be healthy for the brain. Researchers have discovered that a Mediterranean-style diet is associated with reduced damage to small blood vessels in the brain. A study published in the Diabetes, Obesity, and Metabolism suggests that individuals who ate a low-carb Mediterranean diet lost more weight than individuals who ate the traditional Mediterranean diet, or followed the diet recommendations from the American Diabetes Association. Another study, published in the New England Journal of Medicine, evaluated 322 moderately obese adults as they were put on three different types of diets: Calorie-restricted low-fat, calorie-restricted Mediterranean, and non-calorie-restricted low-carbohydrate. After two years, the researchers found that individuals who were placed on a low-carbohydrate diet or Mediterranean diet lost more weight than individuals who were put on a low-fat diet. There have been no adverse effects found from a Mediterranean diet as yet, but seeking proper guidance before planning to follow a Mediterranean diet may prevent any unwanted health issues. Laar, R. J. J., Stehouwer, C. D. A., Bussel, B. C. T., Prins, M. H., Twisk, J. W. R., & Ferreira, I. (2013). Adherence to a Mediterranean dietary pattern in early life is associated with lower arterial stiffness in adulthood: the Amsterdam Growth and Health Longitudinal Study. Journal of internal medicine, 273(1), 79-93. Trichopoulou, A., Bamia, C., & Trichopoulos, D. (2009). Anatomy of health effects of Mediterranean diet: Greek EPIC prospective cohort study. Bmj,338, b2337. Trichopoulou, A., Costacou, T., Bamia, C., & Trichopoulos, D. (2003). 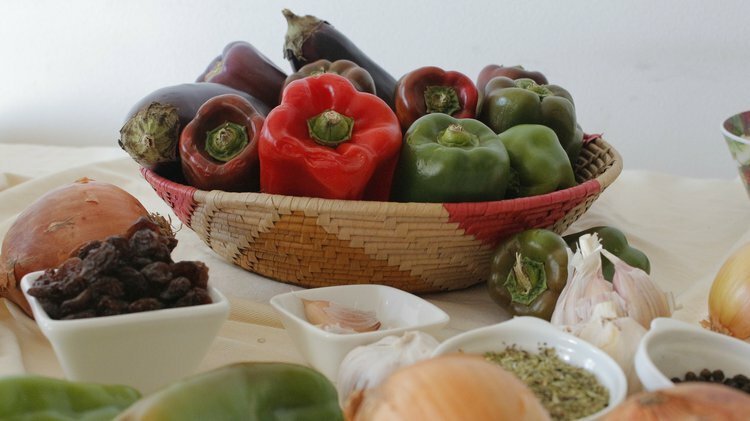 Adherence to a Mediterranean diet and survival in a Greek population. New England Journal of Medicine, 348(26), 2599-2608. Bach-Faig, A., Berry, E. M., Lairon, D., Reguant, J., Trichopoulou, A., Dernini, S., ... & Serra-Majem, L. (2011). Mediterranean diet pyramid today. Science and cultural updates. Public health nutrition, 14(12A), 2274-2284. Estruch, R., Ros, E., Salas-Salvadó, J., Covas, M. I., Corella, D., Arós, F., ... & Lamuela-Raventos, R. M. (2013). Primary prevention of cardiovascular disease with a Mediterranean diet. New England Journal of Medicine,368(14), 1279-1290. Serra-Majem, L., Roman, B., & Estruch, R. (2006). Scientific evidence of interventions using the Mediterranean diet: a systematic review. Nutrition reviews, 64(suppl 1), S27-S47.